You expect to hear about restaurant kitchens in Charleston, New Orleans, or Memphis perfecting plates of the finest southern cuisine—from hearty red beans and rice to stewed okra to crispy fried chicken. But who would guess that one of the most innovative chefs cooking heirloom regional southern food is based not in the heart of biscuit country, but in the grain-fed Midwest—in Chicago, no less? Since 2008, chef Paul Fehribach has been introducing Chicagoans to the delectable pleasures of Lowcountry cuisine, while his restaurant Big Jones has become a home away from home for the city’s southern diaspora. From its inception, Big Jones has focused on cooking with local and sustainably grown heirloom crops and heritage livestock, reinvigorating southern cooking through meticulous technique and the unique perspective of its Midwest location. And with The Big Jones Cookbook, Fehribach brings the rich stories and traditions of regional southern food to kitchens everywhere. 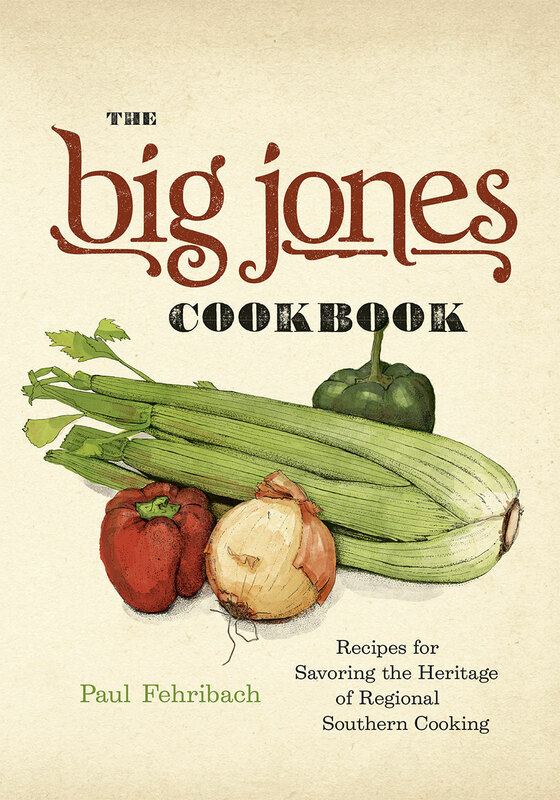 Organized by region, The Big Jones Cookbook provides an original look at southern heirloom cooking with a focus on history, heritage, and variety. Throughout, Fehribach interweaves personal experience, historical knowledge, and culinary creativity, all while offering tried-and-true takes on everything from Reezy-Peezy to Gumbo Ya-Ya, Chicken and Dumplings, and Crispy Catfish. Fehribach’s dishes reflect his careful attention to historical and culinary detail, and many recipes are accompanied by insights about their origins. In addition to the regional chapters, the cookbook features sections on breads, from sweet potato biscuits to spoonbread; pantry put-ups like bread and butter pickles and chow-chow; cocktails, such as the sazerac; desserts, including Sea Island benne cake; as well as an extensive section on snout-to-tail cooking, including homemade Andouille and pickled pigs’ feet. Proof that you need not possess a thick southern drawl to appreciate the comfort of creamy grits and the skill of perfectly fried green tomatoes, The Big Jones Cookbook will be something to savor regardless of where you set your table. Chicago Reader, "Best New Cookbook from Chicago"